Singing in a foreign language helps you learn the sounds and patterns of a new language, but there are also physical, psychological, social, musical and educational benefits of singing. At LingoChoir our Lingotots learn through song, music and performance - all in another language! Each term the children learn a range of songs from traditional tunes, well-known children’s songs and our very own collection of Lingotot originals. All the while we encourage the children to get moving...we believe that actions and movement aid language learning and make the whole experience truly multi-sensory! We work towards an end of term performance where even the most timid of children can blossom in confidence working in a group towards their big performance. LingoChoir is available in French, Spanish, German, English, Italian, Arabic, Welsh and Mandarin Chinese as nursery, school and community sessions. 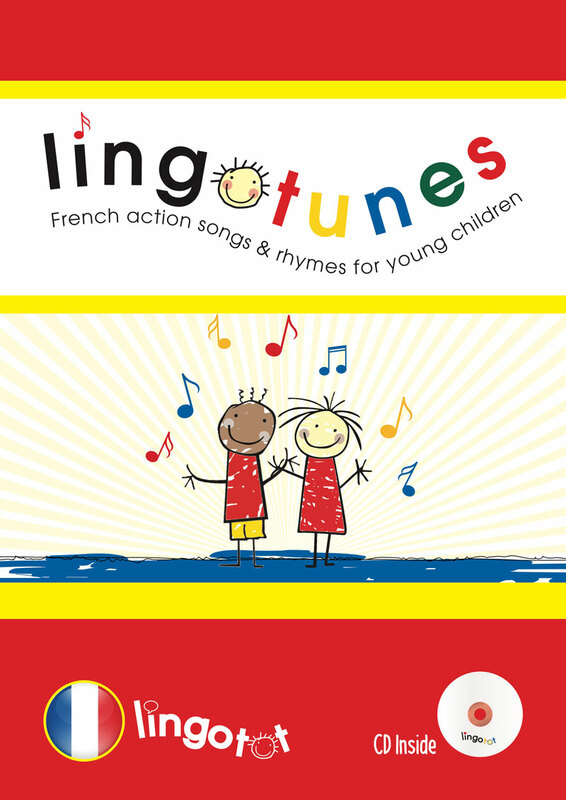 Our LingoTunes Songbook and CD is available in multiple languages. Ask your class teacher for your copy!